In the heart of the city, the Antica Casa Coppo has one of the most enviable locations for boarding rooms in Venice. 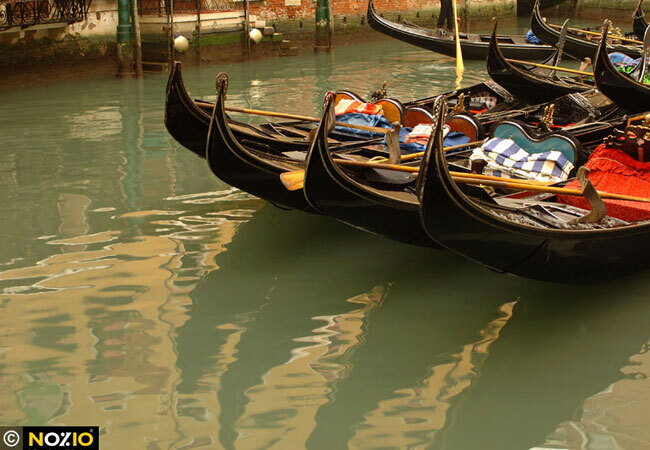 In the historic center, a 5 minute walk from Rialto and St. Mark's Square, overlooking the picturesque Corte Coppo, it is one of ideally located inns in Venice, convenient for discovering the city on foot. Just a stone's throw away from the Antica Casa Coppo are some of the most magnificent monuments in Venice, less known, but for this even more exciting such as the La Fenice theater, the legendary Venice opera theater(200 meters from the boarding rooms) and the Scala del Bovolo, the Renaissance spiral staircase in the Palazzo Contarini, 80 meters from the Antica Casa Coppo. 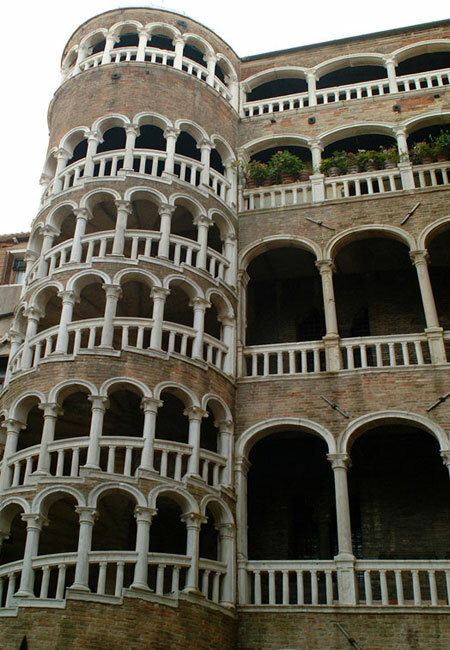 The Antica Casa Coppo is one of the inns in Venice in the heart of the Venice shopping district. Italian and international fashion label boutiques, hand-crafted Venetian carnival mask shops, prestigious Murano glass and souvenir shops extend through the maze of "calli" and "campi" in the delightful boarding room surroundings. Typicalbacari (Venice's typical taverns) abound where you can try cicheti (appetizing snacks) accompanied by the classic ombra (glass) of wine, trattorias serving traditional Venetian cuisine and other trendy, traditional or mixed design restaurants. Even the ferries that stop throughout Venice along the Grand Canal are just 5 minutes from the Antica Casa Coppo, in Rialto. From here, lines N1 and N2 take you to the Gallerie dell'Accademia, Palazzo Grassi, the Venice Biennale, the Film Festival at the Venice Lido, the train station and Piazzale Roma, the bus and car terminal. 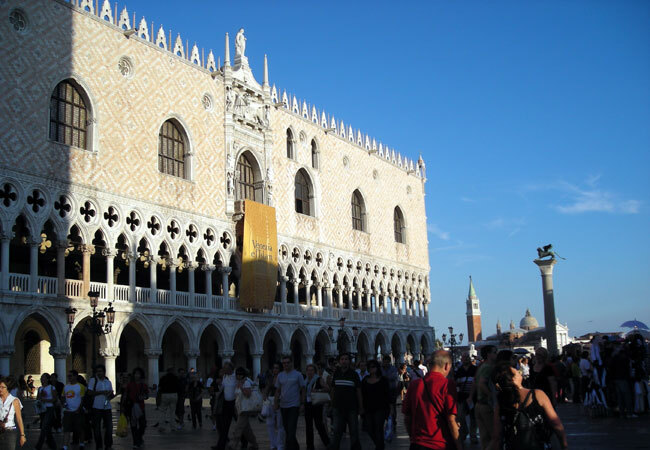 From the Venice airport (13 km) and Treviso airport (33 km) take the shuttle bus for Venice and get off in Piazzale Roma, the bus and car terminal. From here, continue as described in "From the Rialto ferry stop". 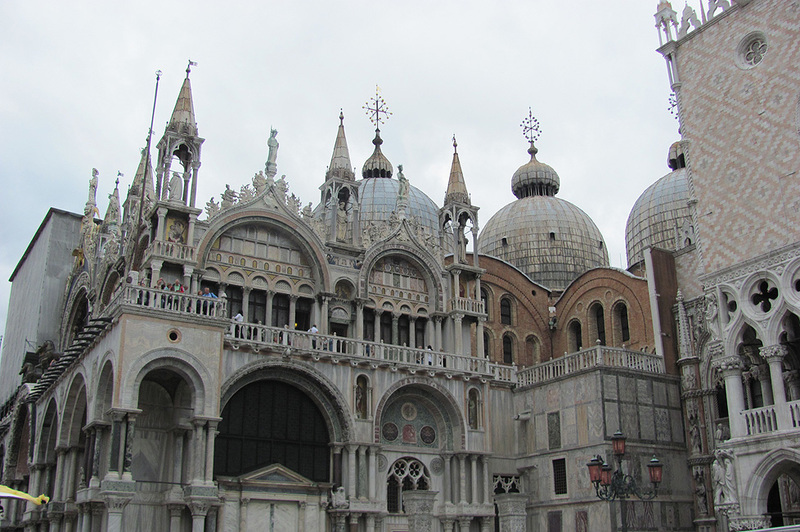 Take ACTV public ferry line N1 or N2 in front of the Venice Santa Lucia station and get off at the Rialto stop. Park your car in one of the garages at Piazzale Roma (the bus and car terminal) or in one at Tronchetto, on your right at the end of the long Libertà bridge that connects Venice with the mainland. From either Tronchetto or Piazzale Rome, take ACTV public ferry N2 (or line 1 from Piazzale Roma) and get off at the Rialto stop. Antica Casa Coppo is 350 meters away. After you get off the ferry, walk down the right hand side of the waterfront and take the first "calle" on your left, calle Larga Mazzini. At the end of the "calle", turn right, cross the bridge leaving the Goldoni theater on your right, and turn left on calle del Forno. In campo San Luca, take calle dei Fuseri right in front of you. Walk 150 meters and turn right. 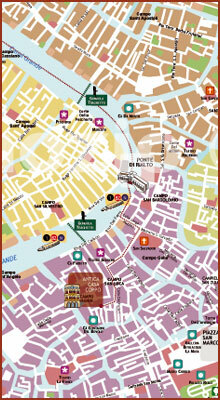 You are now in Corte Coppo where the Antica Casa Coppo is located.